Art has the power to preserve beauty for eternity, but it also has the power to alter it, to transform it and to make it something different. It’s this uncanny power that drew me to creating art in the first place; and it was always an endless fascination to me, how a particular subject matter could be represented in an entirely new light on the canvas. Often, I choose to focus on women; to use the medium of paint to emphasise hidden strength and resilience, to highlight power and magnetic allure. However, every so often, I find myself inspired by a male. The people that tend to inspire me are the ‘game-changers’; the people who have not only created impact in the world that they inhabited, but quite literally sent shock-waves through it. Choosing to paint Abraham Lincoln was a distinct shift in direction for me. Lincoln has played such a significant role in the history of this country, that the prospect of capturing his image on canvas was a daunting one. However, it was precisely the power and influence that he wielded over 19th century America that proved to be too magnetic to resist. 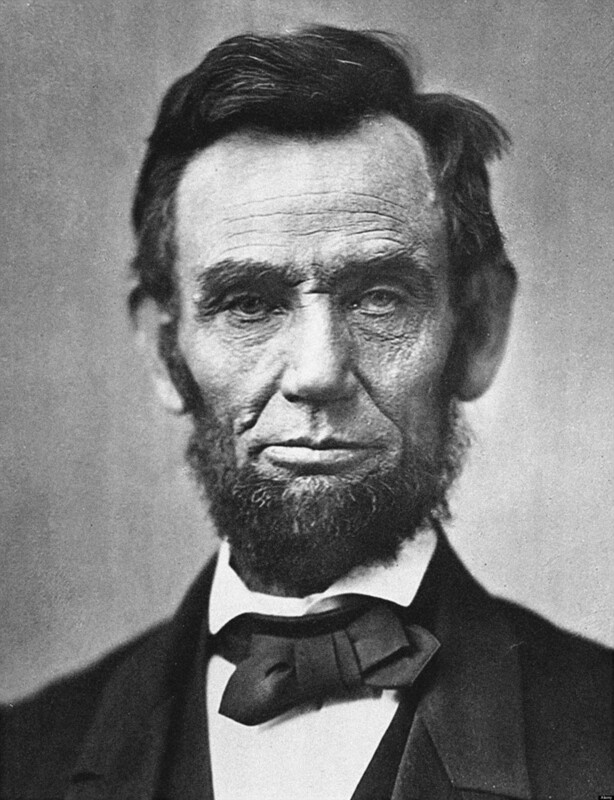 Here was a man who not only led the country through one of its most bitter civil wars, but in doing so, ended slavery, and brought about a radical shift in direction for many citizens of America. A man who suffered criticism, conflict and threat at every turn, but still held fast to his vision, doggedly pursuing it throughout his political career. When studying a photo of Lincoln, the steady resolve in the face of adversity quite literally flows from the image; the calm expression at odds with the fierce determination in his eyes. Once again, it’s the eyes… and Lincoln’s eyes speak volumes. As the years passed after his assassination, the role that Lincoln played within the country began to change. The 16th president of America started to gradually alter; from man, into powerful metaphor. As the name ‘Lincoln’ ceased to represent just a man, and became synonymous with equality and human rights, so too did the face of Lincoln begin to take on new meaning. The long, aquiline face, the weathered, bristly cheeks and low, ponderous brow, began to gain a sense of the immortal; which was further emphasized by his inclusion as one of the huge, craggy faces at Mount Rushmore. Lincoln had achieved fame and immortality as one of America’s most influential presidents; but the question I was so eager to answer was: What had he become in the 21st century? What did Lincoln mean to me, a modern man, living in New York nearly a century and a half after his death? What did he mean to all of us? In my painting of Abraham Lincoln, I sought to combine the sense of the unchanging and the permanent, with a sense of the modern and constantly moving. I chose to represent Lincoln in a cool blue and black palette, giving him the vital sense of the unchangeable and irrefutable; but used a vividly contrasting, brightly colored graffiti effect in the background, transforming the man into a living icon, a figure adored and revered, even in the frenetic, technological 21st century. Through this artwork, I strove to emphasize how relevant Lincoln still is to this day. He may have died nearly 150 years ago, but the legacy he left behind him still presides over society as we know it. My portrait of him attempts not only to pay homage to one of the most relevant presidents of this country, but also to recognize him as being still current, still important, still worthy of achieving that transcendental state of being an icon.